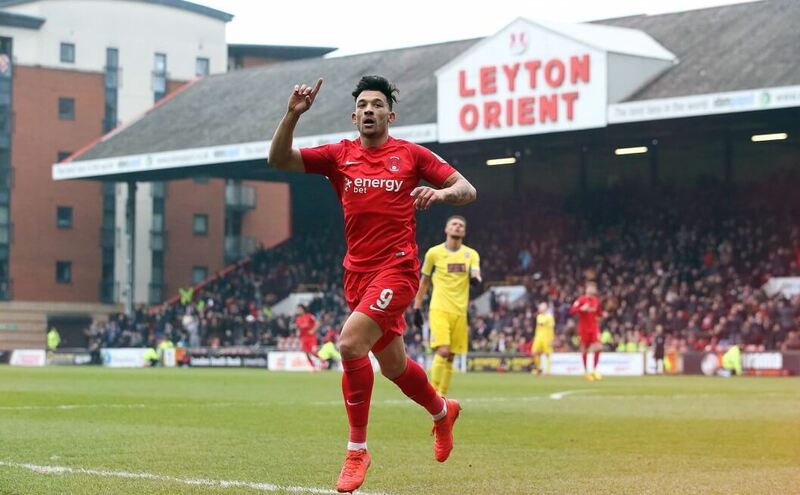 Leyton Orient comfortably beat Woking by three goals to nil to record their first win at home since Boxing Day at Brisbane Road in the National League. Two goals from Macauley Bonne in the 10th and 17th minute put the game beyond Woking early on and James Brophy scored with ten minutes left on the clock to seal a cosy win that helps the O’s in their quest for National League Football next season. An attendance of 5,673 saw Leyton win their first game of the year at home and put Woking into a dangerous position themselves. This was the tonic Justin Edinburgh needed from his O’s warriors as they had all but won it early on. Following this heavy defeat Woking who are known as the Cards folded badly and they have been dragged into a battle to stay in the National League, four points above the drop zone. Barrow below them also have two games in hand. The home team were on the back foot from the off as Woking started brightly, with Jason Banton hitting the crossbar from long range. However as early as the 10th minute Orient took the lead when Macaulay Bonne capitalised on a poor mistake at the back by Joey Jones and had an initial shot saved by Nathan Baxter, but Orient’s top scorer for the season made no mistake with the rebound. The visitors looked for a response through Charlie Carter’s whose effort was saved by Brill in the Orient goal. The hosts doubled their lead from the penalty spot through Bonne again after Jones had brought down James Brophy. Bonne was a happy man taking his tally for the season to eighteen goals and in with a shout for the National League Golden Boot. So the O’s were 2-0 up and only 17 minutes of the game had gone! A cracking start for the O’s and a dash of reality for the Surrey side. The home side played the ball around for the rest of the first half with some neat touches as Woking struggled to get back into the match. Woking made a double change at the break, with Jones going off for Jordan Wynter, and Anthony Cook replacing the ineffective Fabio Saraiva. When Woking had made their final change it got even worse for the visiting team who had bought 479 fans to Brisbane Road. Charlton Athletic loanee Regan Charles-Cook being taken off on a stretcher with all three subs having been used. Woking looked to just keep the disadvantage to a minimum and defended in numbers which was a shame as the visitors looked a bit better in the opening 20 minutes or so of the second period but couldn’t get a goal back. Woking are now winless on the road in 12 games and despite a lengthy stoppage for Charles-Cook were forced to play the final 20 minutes with 10 men. 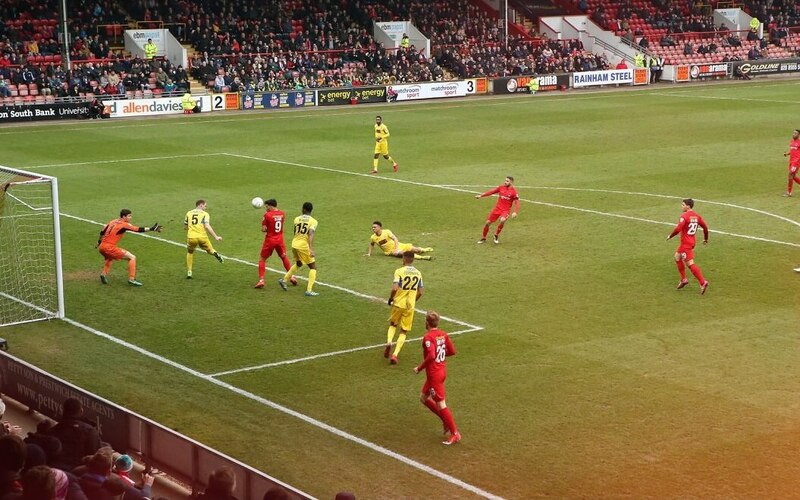 Leyton Orient made the numerical advantage count as they wrapped the game up 10 minutes from time, with James Brophy firing the ball into the bottom corner with a sublime effort from 25 yards. This was a better day for Orient who moved up the table to 14th place. These are worrying times for Woking who remain in 18th position and next weekend they will face promotion hopefuls Macclesfield Town. Torquay and Guiseley both in the bottom three had their game called off due to a waterlogged pitch as Chester’s 3-2 defeat at high flying Sutton leaves them 9 points adrift of safety. The only team with a realistic chance of saving themselves from the drop is Solihull Moors who picked up a point in a 0-0 draw with Halifax Town. Orient are on 47 points but it is getting congested above Solihull Moors in 20th position (the last relegation spot). The Midland club are now on 40 points so the gap is only 7 points to the O’s however there are six teams between the London team and the Birmingham team. A far better result but the O’s aren’t out of the woods yet.